- Height: 29" drop - Diameter: 20"
Vintage 1930's very Art Deco modernist chandelier design in a sleek and gleaming polished chrome with four molded and curvy glass shades. 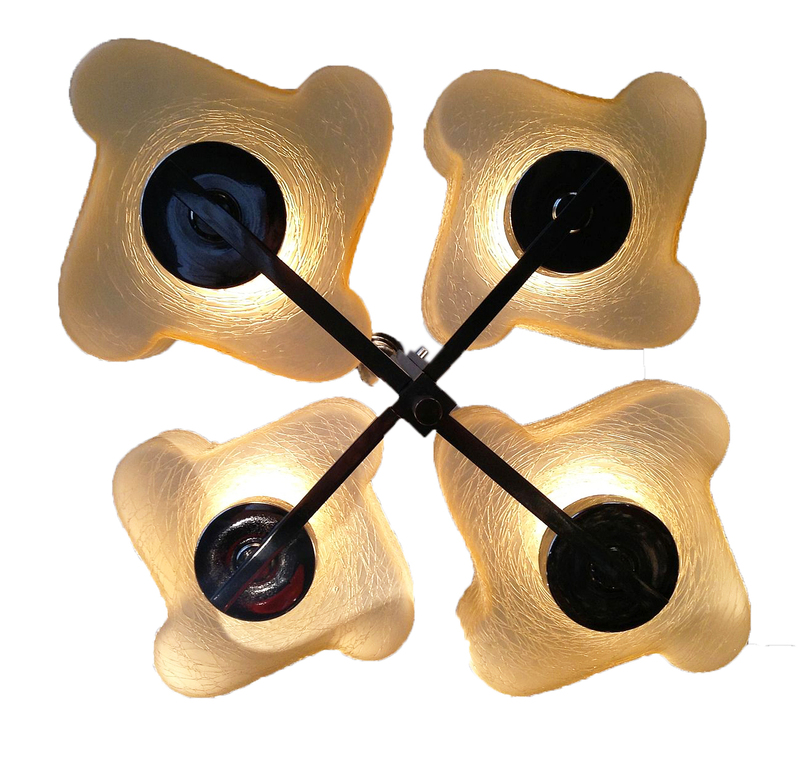 The sleek body of the chandelier features four arms supporting the glass globes in a stepped manner. 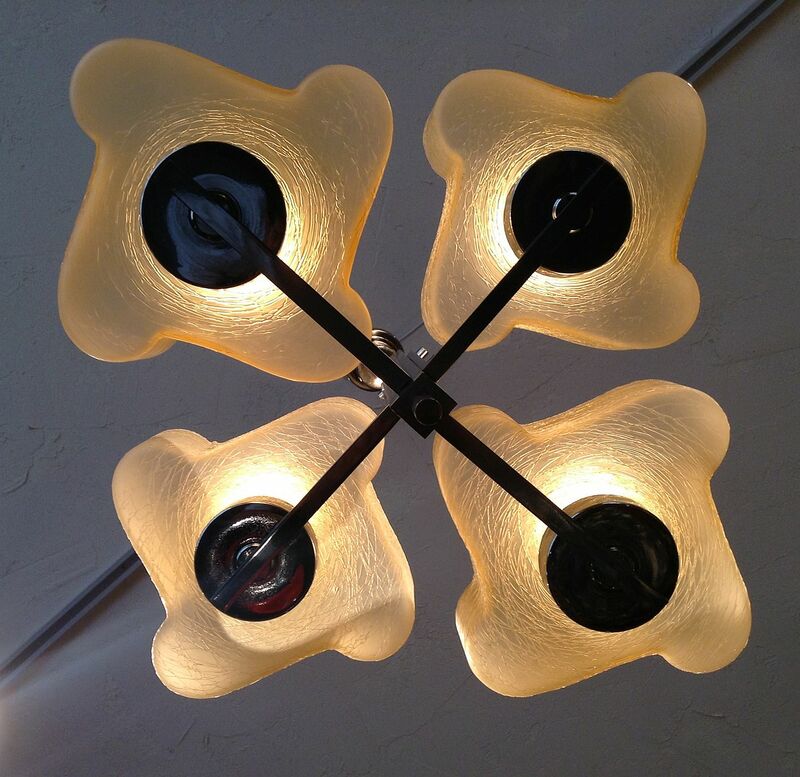 The four molded glass shades exhibit a strikingly beautiful pastel color in a frosted crackle glass. The shades are in perfect condition. 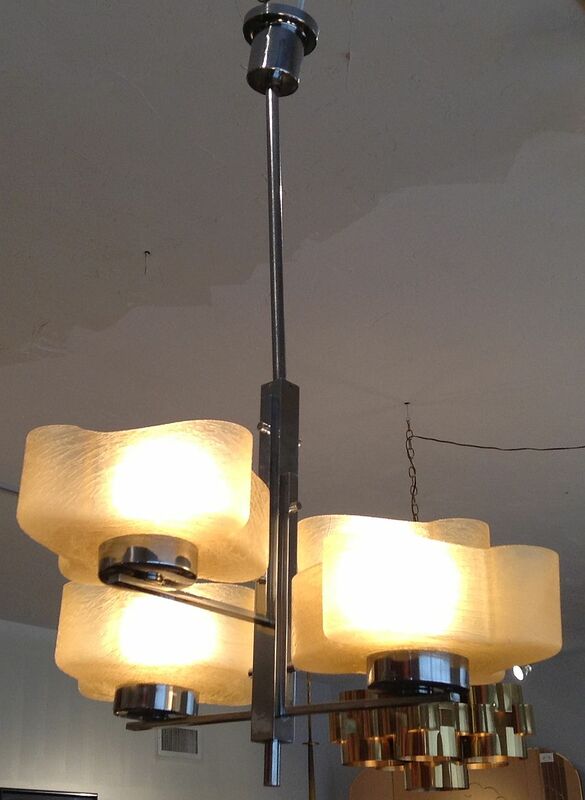 A very engaging and lovely chandelier sure to bring joy to its owners and beautiful compliments from their guests!